"Bosch Fuel Pumps are designed for use with standard grade petrol. Subject to statutory warranties, Bosch does not warrant the performance characteristics or specifications of these fuel pumps if they are used with Alcohol or Ethanol based fuels or fuel additives that are corrosive." To adapt the inlet and outlet ports of the Bosch 044 pump to -6AN male, select the checkboxes listed above. 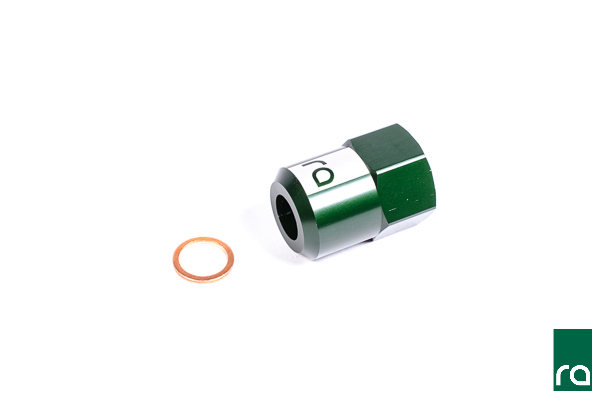 This adapter fitting is zinc-plated steel and includes a sealing crush washer. This adapter fitting is bright dip black anodized aluminum and includes a sealing crush washer. Note: this eliminates the Bosch check valve. 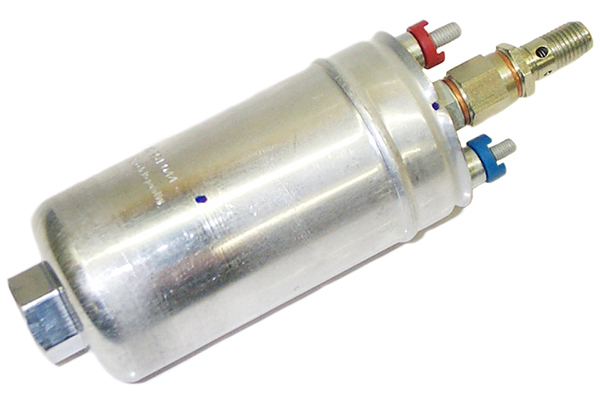 This adapter fitting permits the use of the Bosch check valve that is included with the pump. Includes a crush washer to seal the inlet to the check valve surface. Requires a 10AN ORB fitting for the outlet of the adapter. 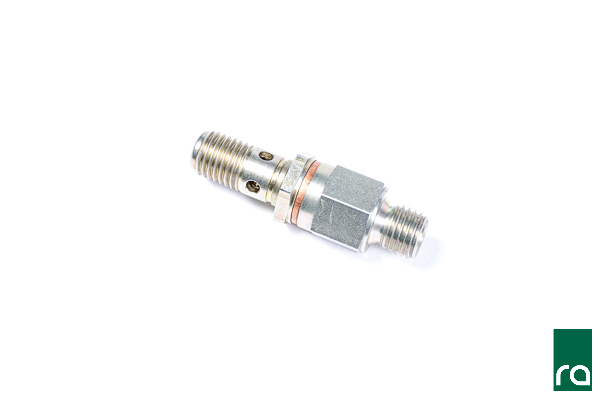 This M12x1.5mm threaded check valve comes standard and is preinstalled with the purchase of a Bosch 044 fuel pump. If it was discarded or has been lost, select this option. NOTE: the lower M12x1.5 threaded section is just a male/female bushing. It can be removed from the upper check valve section, if necessary.